The judges for the Caine Prize 2014 have been announced. 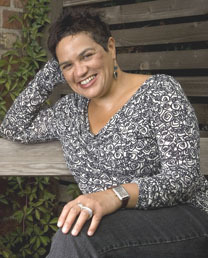 The judging panel will be chaired by award-winning author Jackie Kay. She will be joined by the distinguished novelist and playwright Gillian Slovo, Zimbabwean journalist Percy Zvomuya, assistant professor of English at the University of Georgetown Dr Nicole Rizzuto and the winner of the Caine Prize in 2001 Helon Habila. We all know the Caine Prize to be THE ultimate short story prize if you come from these shores. The most well known of the Cainers (people who have won the Caine Prize) are Binyavanga Wainaina and Noviolet Bulawayo. The former of these is considered amongst the 40 most powerful celebrities in Africa (this blogger is patiently waiting for Forbes to announce Africa’s 100 million most powerful celebrities; I’m certain to be a shoo in on that list) and other accolades. Noviolet (that’s a pen name mind you; her birth name is Elizabeth Zandile Tshele) has gone on to be shortlisted for the Man Booker Prize and at the Etisalat prize 2014 where I consider her a frontrunner. Many have submitted their stories on the hopes of being the next Binyaviolet (or is it Wainawayo); a record 140 of them from 17 African countries. The judges will meet in April and announce the shortlist thereafter. The winning story will be announced at a dinner at the Bodleian Library in Oxford on Monday 14 July. The shortlist this time round will be special. Unlike in previous years where the shortlisted folks attended the dinner and then nothing was heard about them afterward (anyone who brings up the name Chimamanda Adichie here gets smacked) they will all get £500 for their troubles. It’s a way of the folks at Caine Prize celebrating 15 years of being around. So who are the judges? I am only familiar with Helon Habila who won the Caine Prize in 2001 for his short story “Love Poems.” Also on the, I-heard-this-name-before list is Percy Zvomuya who was a Mail & Guardian’s arts and features reporter before hitting the big time earlier in the year when he won the Miles Moreland Scholarship earlier in the year. I am not familiar with the rest but by tomorrow I will be an authority on those (Give me a break, Its 8pm in Nairobi and I need dinner).